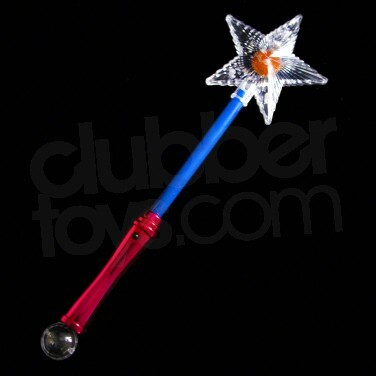 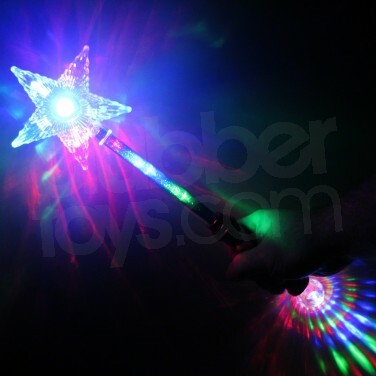 The Flashing Star Wand boasts an array of bright flashing LED lights in the shape of a star and along the handle also. 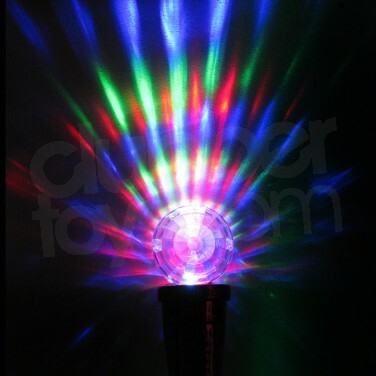 It has four settings and effects which activate the superb blue, green and red LED's to create a funky flashing glow. 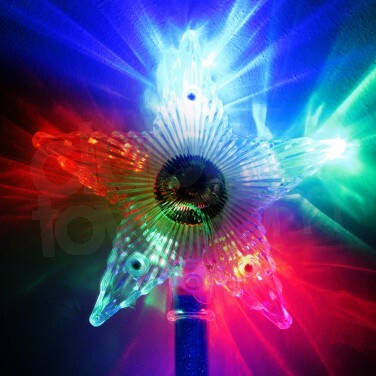 Perfect for boys and girls as presents or for fun at parties or festivals. 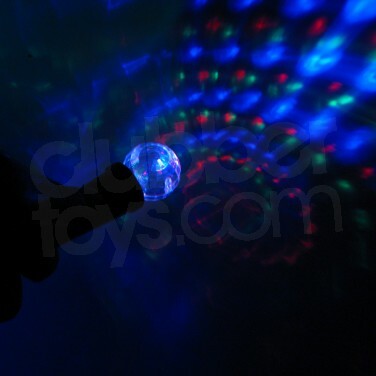 4 x AG13 batteries supplied - no loading batteries! 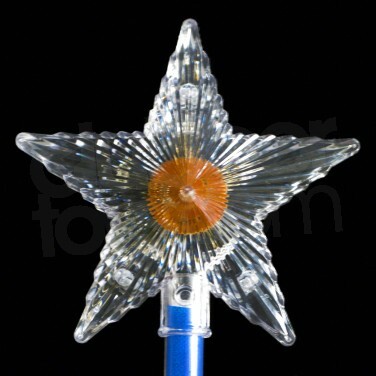 Flashing Star Wand The Flashing Star Wad is packed with bright flashing LED lights in the star top and throughout the stem and it's finished with a funky disco ball too!